Archbishop Martin Krebs and the Hon Craig Foss celebrate the third anniversary of Pope Francis’ election as pontiff. His Holiness Pope Francis marked his third anniversary as pontiff of the Catholic Church, during his weekly Sunday blessing on 13 March 2016 by reinforcing his message of mercy telling the faithful about the Biblical story of the adulterous woman whom Jesus refused to condemn. 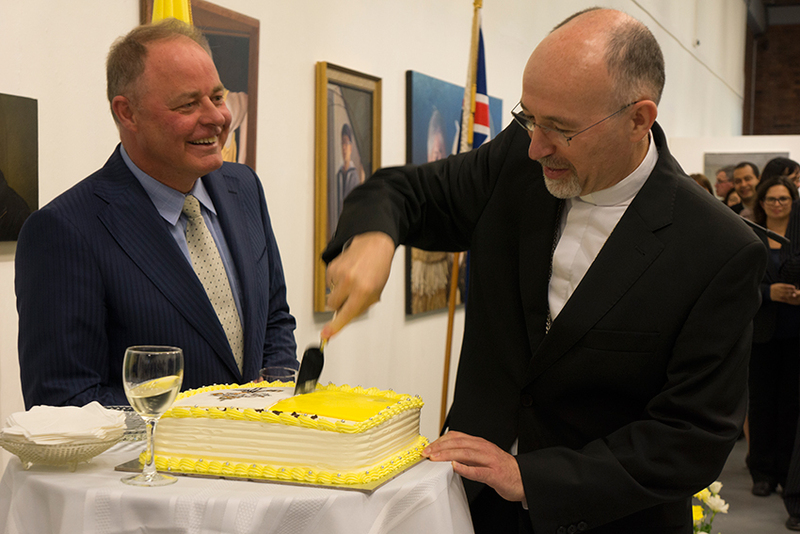 To observe the Pope’s third election anniversary, The Apostolic Nuncio Archbishop Martin Krebs held a reception at the New Zealand Portrait Gallery in Wellington. Referring to Laudato Si’, Archbishop Krebs spoke of the Pope’s messages about the degrading condition of our planet. He also highlighted Francis’ concern on the situation of modern families, his global travels and influence through visiting many countries, after which ‘things begin to improve’, and of Francis’ proposal to learn and practice mercy especially during the current Holy Year. 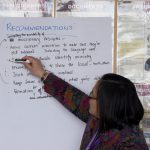 The Hon Craig Foss outlined the Catholic Church’s leading role in the provision of education, health care, and social services in New Zealand, as well as offering a firm voice of conscience on moral issues. 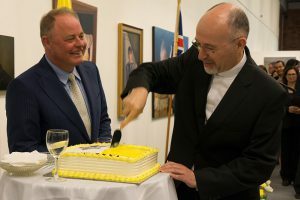 ‘It is based on these common interests that New Zealand’s bilateral relationship with the Holy See continues to strengthen,’ he said. 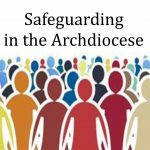 ‘This growing bilateral relationship also reflects the Government’s recognition of the important role played by the Catholic Church in the wider world. His Holiness has called attention to the dangers of global warming, particularly for smaller vulnerable countries such as our Pacific neighbours and was a prominent supporter of the deal reached last year in Paris at COP 21, which saw countries commit to reducing their global greenhouse emissions. 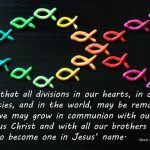 ‘Members of the Catholic Church play a key role in tending to those who are vulnerable, sometimes to the detriment of their own safety; and at this point I would like to extend our condolences following the recent killings of four nuns in Yemen.